There is no arguing why river cruising is becoming a popular means of seeing far off parts of the world. The rivers are calm, sometimes even tranquil. 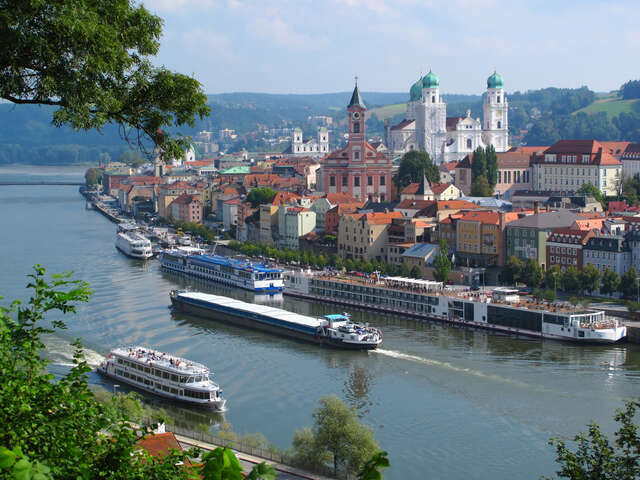 The popularity of river cruising is growing dramatically and the number of travellers choosing to cruise Europe’s rivers is expected to exceed 500,000 this year. Viking River Cruises makes up approximately half of these numbers. There is no arguing why river cruising is becoming a popular means of seeing far off parts of the world. The rivers are calm, sometimes even tranquil. Due to bridge heights and canal passages restrictions the ships seem carry just the right number of passengers. And when Viking advertises that its ships sail "to the heart of Europe" there is no disputing their statement. Recently there has been an influx of negative reviews for river cruising. It seems the rivers of Europe can flood at any time, which makes delivering an itinerary as promised in the brochure difficult, this was particularly the case in 2015 when Europe received more than the normal amount floods. Droughts in the warmer months are just as serious a problem. |Despite its growth, by every account, the statistics show that more than 90% of all European river sailings operate their itineraries with no need to alter their port schedules in any way. Some lines are operating at 95% efficiency on the rivers without issues of any kind. But then again, severe weather can affect those figures dramatically in any year. Shared berths and double docking is a fact of life on Europe's most popular itineraries. Berth construction has not kept up with demand. A spokesperson from Scenic pointed out that they have no recollection of a guest ever complaining about the need to tie up to other boats and added "most guests, I have found, are curious about the other vessels and this provides a look-see." States this spokesperson. Water levels change rapidly within a 24-hour period. Operations people at the various lines and reporting stations in Europe indicate that river levels can be affected by inches within a three-hour period. And inches often make the difference in terms of a riverboat's ability to transit a particular lock or bridge. Sailing calm rivers and visiting waterside towns and villages is seen as a hassle-free way to explore the hidden gems of Europe. It should be a stress-free vacation option. Talk to your Travel Consultant for more details on River Cruising.